Filters include Item categoy and Date or Timeline. Ability to view Top Products and Stores. 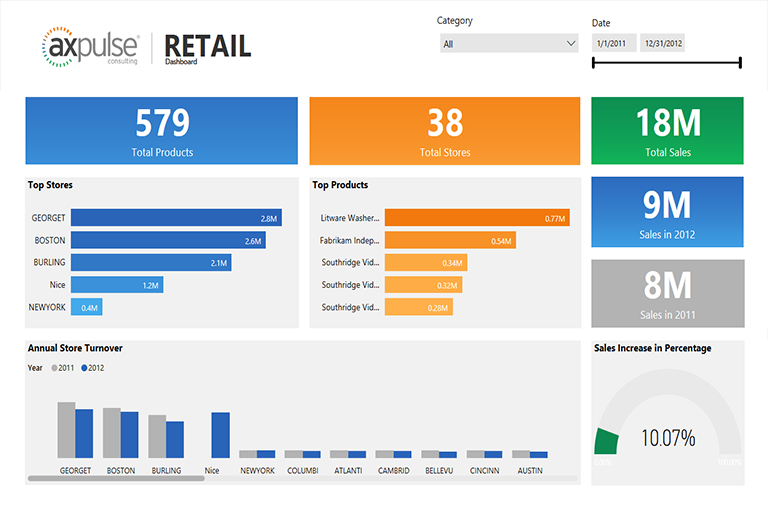 Annual Store Turnover review which can be drilled down to allow a Manager to review specific item categories available at a particular store. This can further be drilled down to view all the products available within a specific Item category. 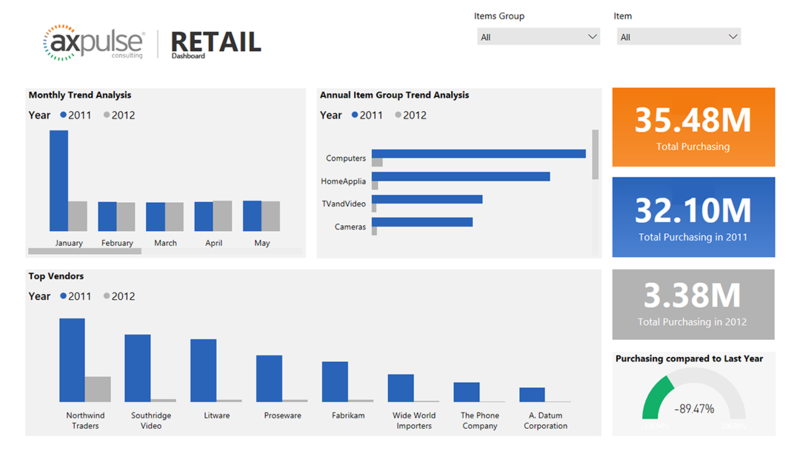 Filters include analysis by Item group and specific Items. The Annual Item Group trend analysis shows procurement review which can be drilled down to show all the inclusive individual items. Top Vendor analysis can be drilled down, to allow a Manager to review all the Item Groups being supplied by a Vendor. 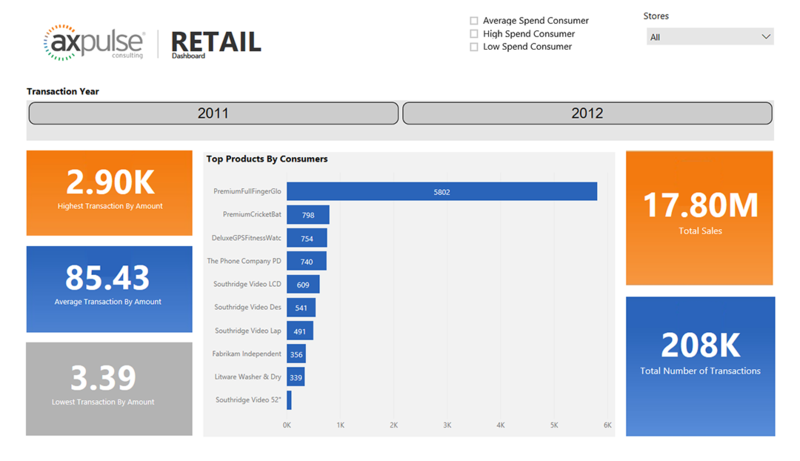 Filters include three customer category tiers: High/Average/Low spend Consumers. Data can be further filtered as per the transaction year. Other data includes Highest,Average or Lowest Transaction by amount, Top Products and Total Sales along with total number of transactions. 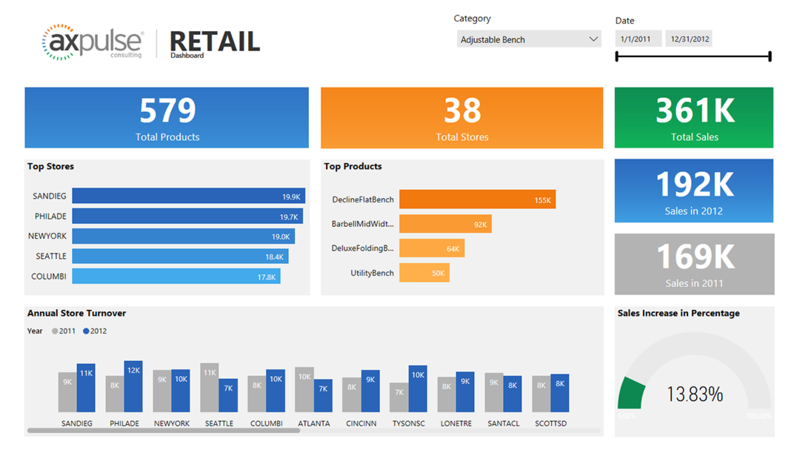 All the above mentioned data interactively varies as the customer category filter is switched between the three tiers available, which provides the Manager a view of current Consumer trends.